Tomato export takes the leading position of all our export amount during winter season We export tomatoes during autumn, winter and spring seasons, our fresh tomatoes can be found in many retail networks and markets of different countries. Tomato is the first vegetable that our company started to export from the Turkey. in this moment we are the main tomato exporters to the East Europe countries, the coverage of our supplies continues to expand. In the nearest plans is to enter the markets of Central and West Europe countries and to the Middle East and Asia. Tomato is dietary product and has good taste qualities. Average calorific capacity is around 20 calories in 100g of product. 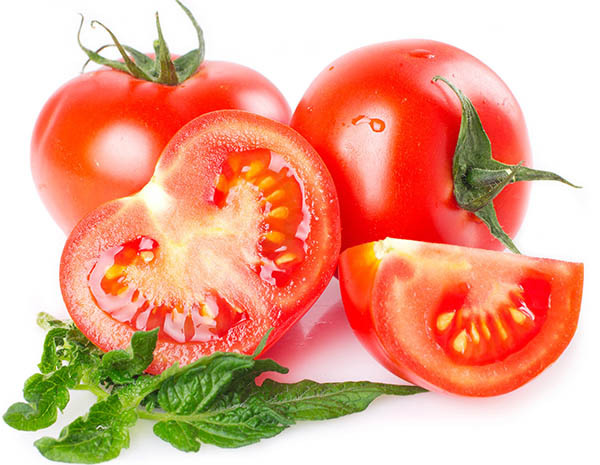 Tomato is consisting B group vitamins, a large number of carotenoids and various organic acids. The choline content in tomatoes – helps to reduce the level of blood cholesterol level, improves the immune system and increases the formation of hemoglobin. All these advantages, make it most favorite for tomato buyers in the cold part of the year. Each fruit of bunch tomatoes grows almost the same size. This tomato has a red color and great grouping. An average weight of each can be up to 200 grams. Main advantages of this type are the lack of diseases and good temperature tolerance, which makes them easy to transport over long distances. Cherry tomatoes – characterized by the small fruits size – 2cm in diameter, weight from 10 to 30 grams, and a large number of fruits on the branch. The fruit begins ripening in 2 months after planting, and that is the reason why this type if loved most of the tomato suppliers. Kumato also was known as a black tomato for their unusual color. For the first time, the were produced by the Belgian Scientists by crossing home and wild varieties of tomatoes and adding the blackberry pigment color. The fruit size is 7 cm in diameter, weight is 70 grams.